Premium Installer Roofing & Siding Certified by GAF, James Hardie & More. 10 Year Labor Warranty, On all Saratoga Roof Replacements. Professional Asset Protection While Removing Your Old Roof. 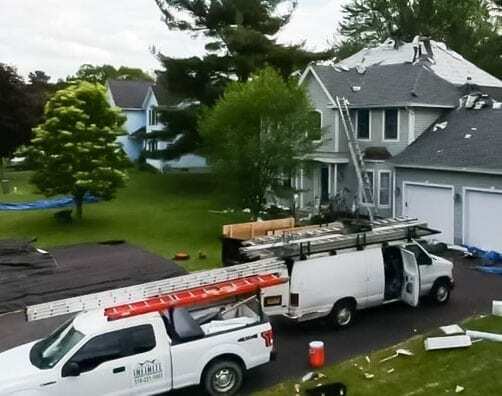 No-debris, No Damage Roofing & Siding Clean Up Guaranteed. Infinite Roofing and Construction, I highly recommend to all. The owner, is very precise about the work that his workers and himself, with the work they perform. He went above and beyond to repair our roof, which is a home, from 1853. He made sure all repairs and replacement of our roof, were done to his satisfaction. Including unforeseen issues, under the old roof. At the end of everyday our property was thoroughly cleaned up. Thank you for your professionalism, and leaving us rest assured, our roof problems are over. Guidelines, Permitting and Design submission requirements for Saratoga. Metal Roofing Pros, Cons and different metal roofing specific options in Saratoga. Siding Services from James Hardie Fiber Cement to Certainteed Vinyl Siding and more, plus side by side comparison. Saratoga is extremely unique: known for its rich heritage as both a health resort and racing mecca, nicknamed “the Queen of the Spas.” While the bedrock of Saratoga society may be resorts and racing, it’s the beautiful architecture of the home’s we’re paying the most attention to at Infinite Roofing. The average home value in Saratoga is $349,600, with homes being listed at nearly $500,000 a common occurrence. When price per square foot is $242 versus $152 in the Albany area, that means one thing: the expectation for premium service is extremely high. Know this: invest in a new roof replacement for your home around Saratoga Springs with Infinite Roofing and you’ll be met with a guaranteed 10 year labor warranty on all new roofs, a designers eye for quality recommendations on premium building materials, like GAF Architectural Shingles, and a crew who will show up on time, get the roofing work done fast and to exacting quality and 50 year warranty standards and protect your lawn and surrounding areas from damage during the roof removal process. Homeowners of Saratoga have trusted Infinite Roofing for 20 years to reliably build equity in their homes. Roofing material trends in Saratoga that increase home value and secure your investment. If you live in Saratoga, you know that the average home is worth more than most of the rest of the capital region. So when you hire a new roofing contractor for your home, you want guarantees in place that your investment is going to increase your equity value in your home. 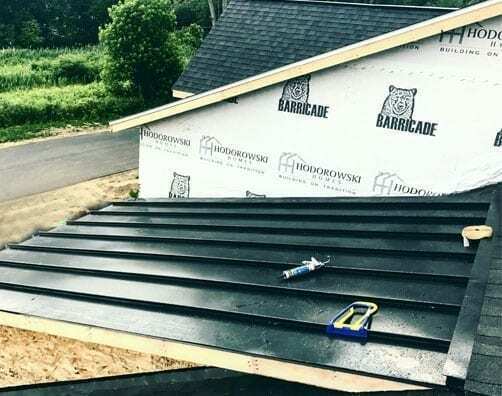 Hiring a non-certified company, or using a type of shingle that is cheap in quality is only going to lead to less value, not more, in your home. The biggest difference between homeowners in Saratoga Springs and Albany is that most opt to invest in GAF "Architectural" shingles, which are more aesthetically pleasing, and almost twice as thick as the standard shingle, which means that not only does the new roof look better, it also lasts a lot longer - long enough to back up with a 50 year warranty. Another key difference is the amount of metal roofs installed in the area. Metal roofs, while usually costing twice as much as a shingle roof, will last at minimum 50 years, and are usually guaranteed for a lifetime. Many owners also opt for partial metal roofing for the extra aesthetic value. Replace the whole roof or the majority of it with a brand new roofing system. Save on labor cost while you're getting your new roof put in and opt to have gutters installed at the same time. Opting to invest in a metal roof leads to a higher home value. Opt for partial metal skirting or full metal roof replacement. 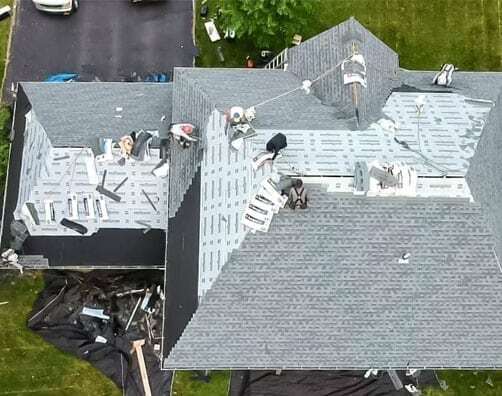 Over the course of twenty years we've built up a stellar reputation with local lenders in order to get you the best possible funding for your new roofing or siding project. For the best possible rates, we recommend applying with our partners, One Main Financial. 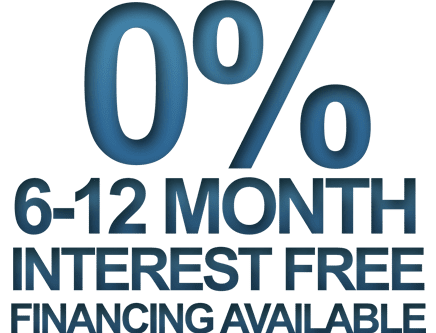 You can opt to get a loan for the entire amount of your roof replacement, or you choose to get a partial loan to cover only a part of the roof. Whichever arrangement works best for you. Many homeowners choose to get their gutters replaced at the same time as their new roof is being put in and for good reason: you save on the labor cost while protecting both your home's siding and new roof from dangerous water build up from old gutters not appropriately draining. At Infinite Roofing we offer a roofing & gutter installation combination using a seamless gutter system by Xtreme Gutter Guards - they come with a 20 year warranty and have a patented design so your gutters are kept clear from all debris and fall leaves. Outside appearances matter when it comes to your home. The right siding investment adds character to your home while bringing out uniqueness that helps it stand out from your neighbors. As a James Hardie preferred contractor, we're delighted to help you in designing the perfect face look for your home. Vinyl siding is the most common type of installation for most modern homes today, however fiber cement siding is renowned for being more durable, longer lasting and a higher quality - meaning that you gain uniqueness while also enhancing the value of your home for a longer time. Siding estimates are much more customized than roofing, because of the sheer number of options. Thats why when your design estimator from Infinite Roofing shows up at your doorstep in Saratoga, they'll come packing an excellent look book with samples so you can get the best idea of what you're investing in.